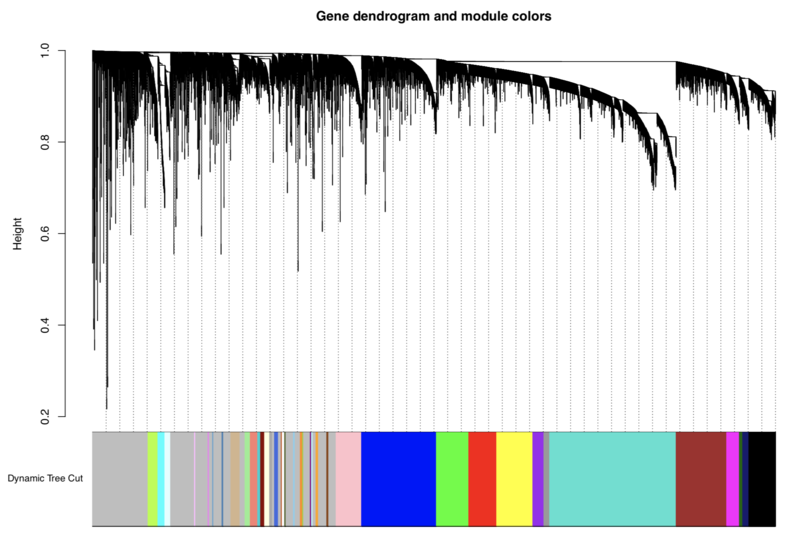 Question: How to get correlation coefficient value between the genes in the WGCNA module network? With my dataset 88 tumor and 70 normal samples with 30k protein coding genes and lncRNAs. I have used WGCNA for co-expression network construction. I'm interested in brown module and how I can get correlation coefficient value of all the genes and lncRNAs present in that module? can anyone tell me how I can get the correlation coefficient and corresponding pvalues for each gene pair (lncRNA and mRNA) with WGCNA? how to extract highly correlated genes in interaction network ?